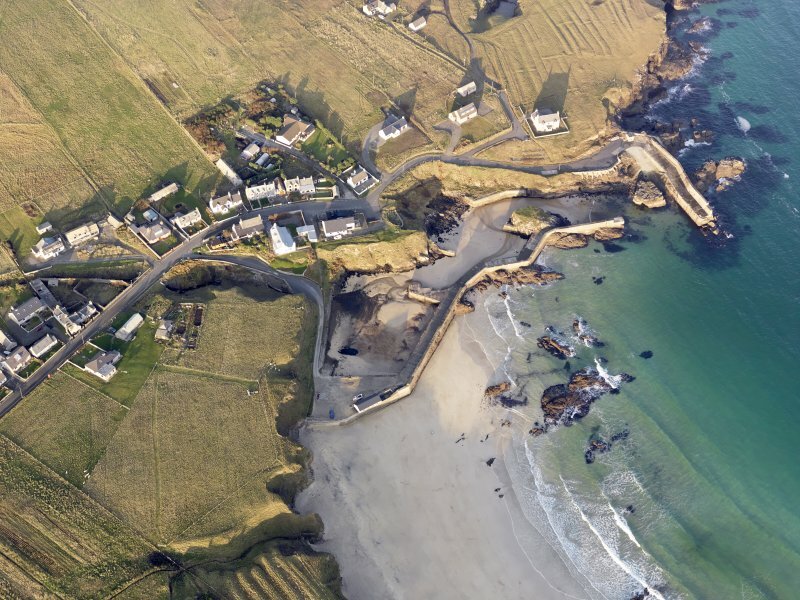 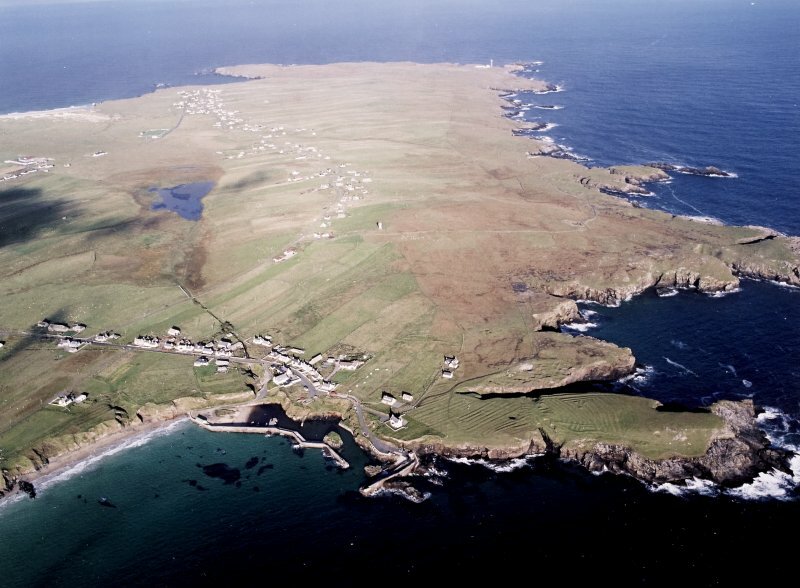 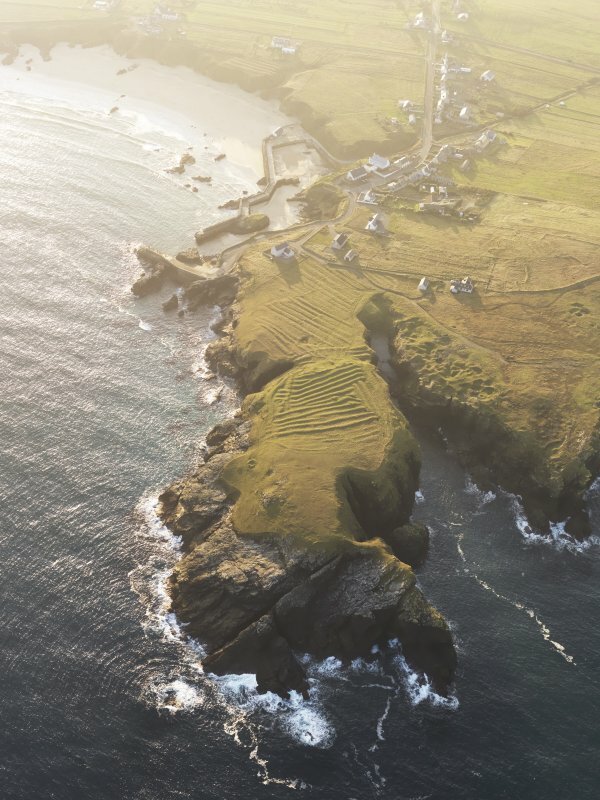 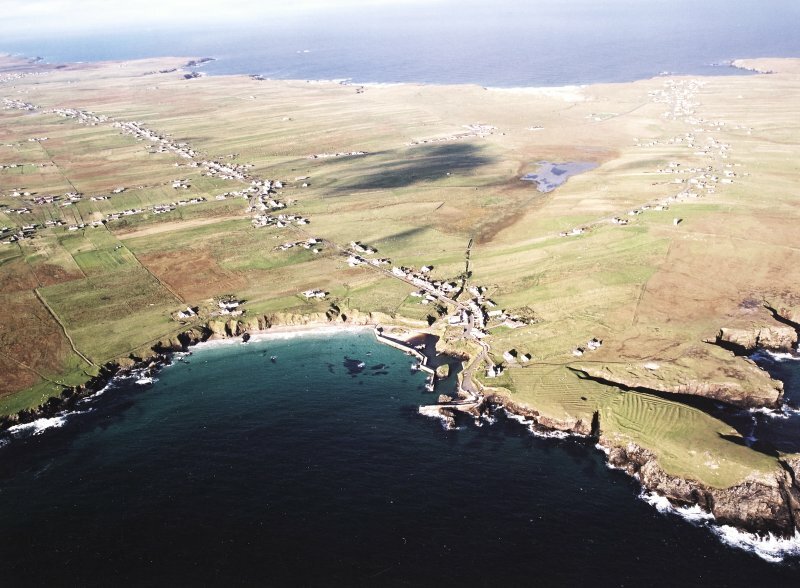 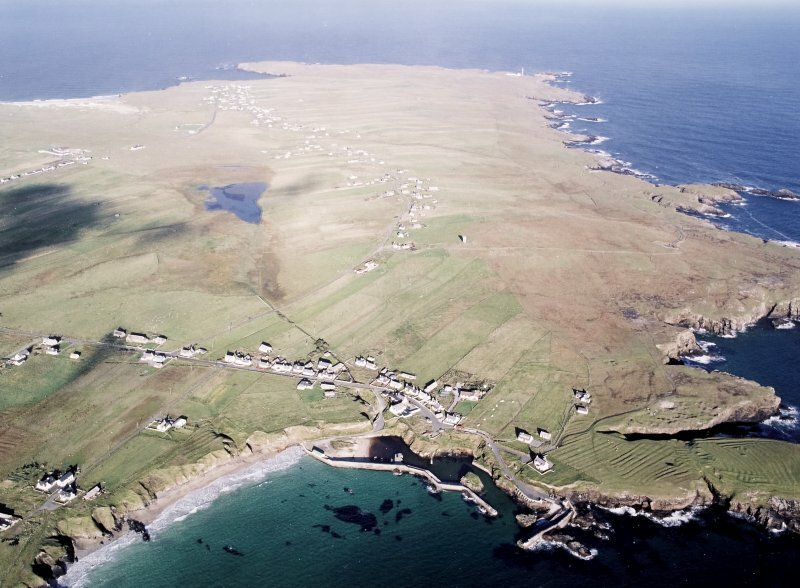 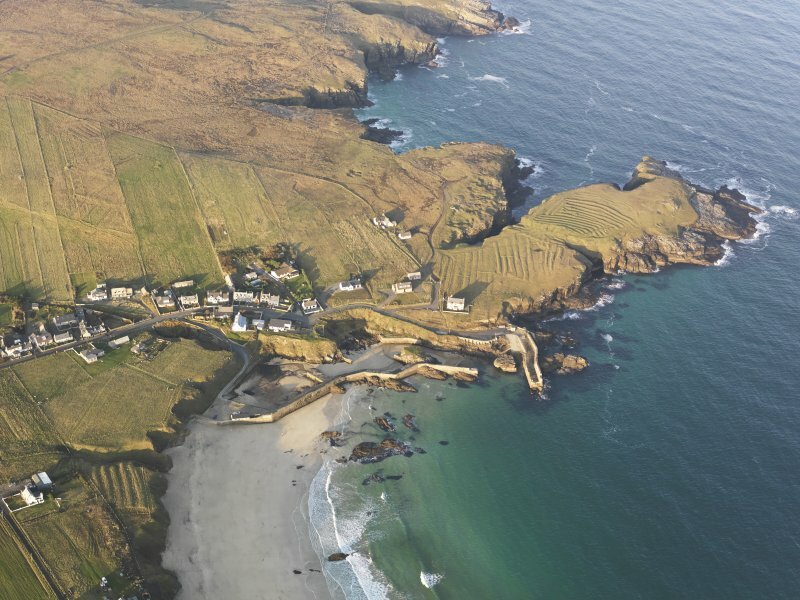 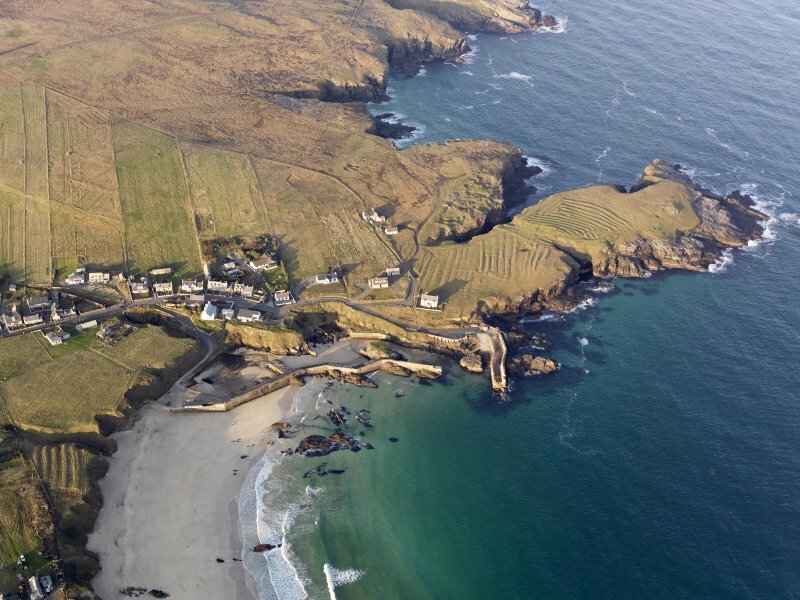 Oblique aerial view of Port of Ness, taken from the S.
General oblique aerial view looking across the harbour, crofting township and lazy beds towards the townships and lighthouse, taken from the SE. 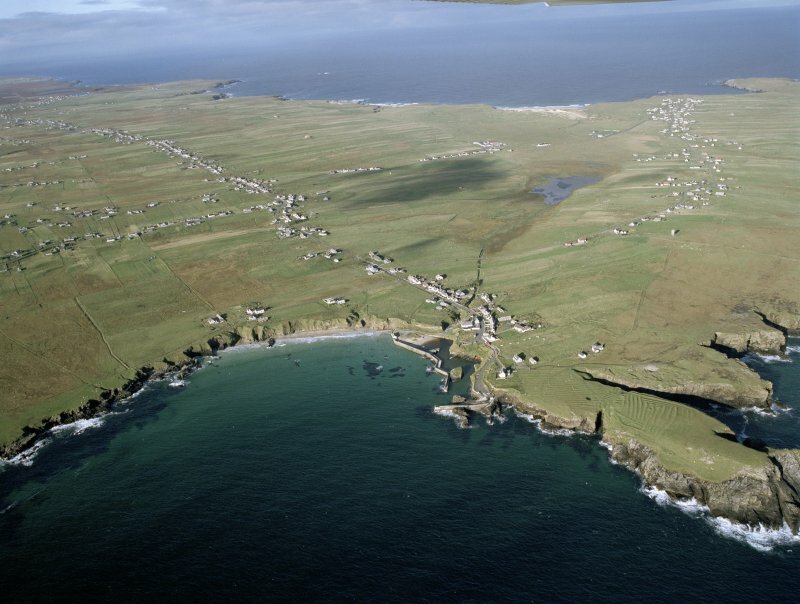 General oblique aerial view looking across the townships of Cros and Nis towards Port of Nis, taken from the WSW. 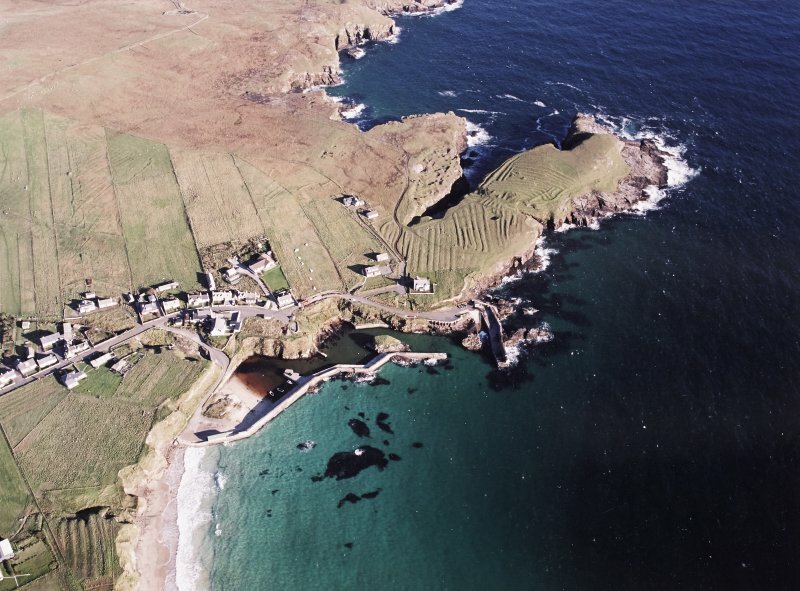 Oblique aerial view centred on the harbour and crofting township with the remains of the lazy beds adjacent, taken from the S.
N side of harbour. 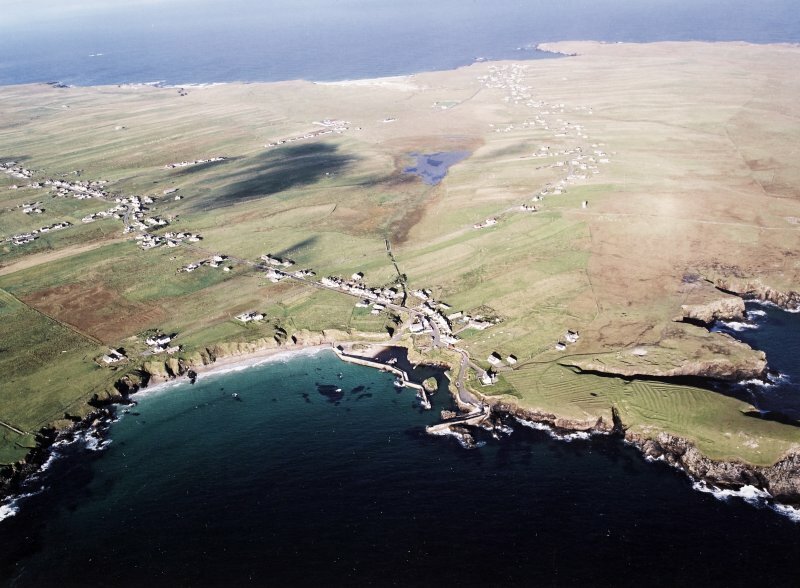 General view from S.
General oblique aerial view looking across the harbour, crofting township and lazy beds towards the townships, taken from the ESE. 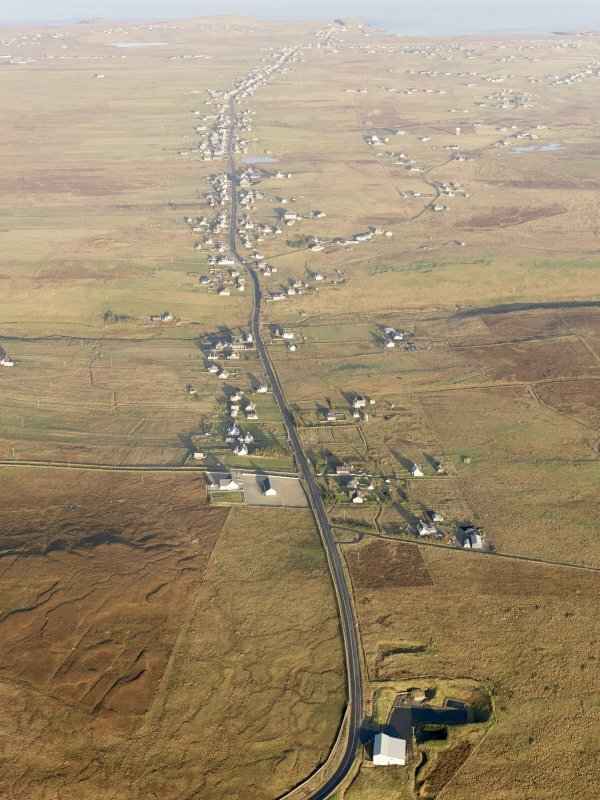 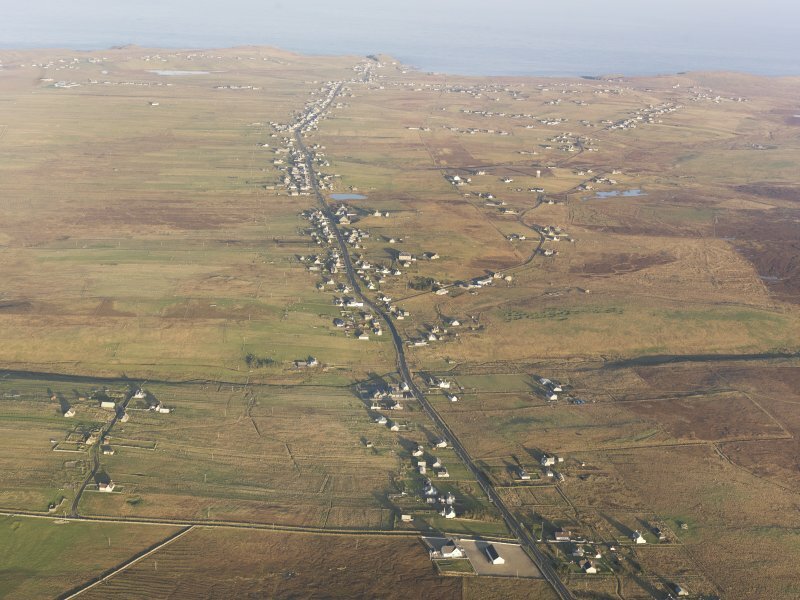 General oblique aerial view looking across the townships of Cros and Nis towards Port of Nis on the Isle of Lewis, taken from the WSW. 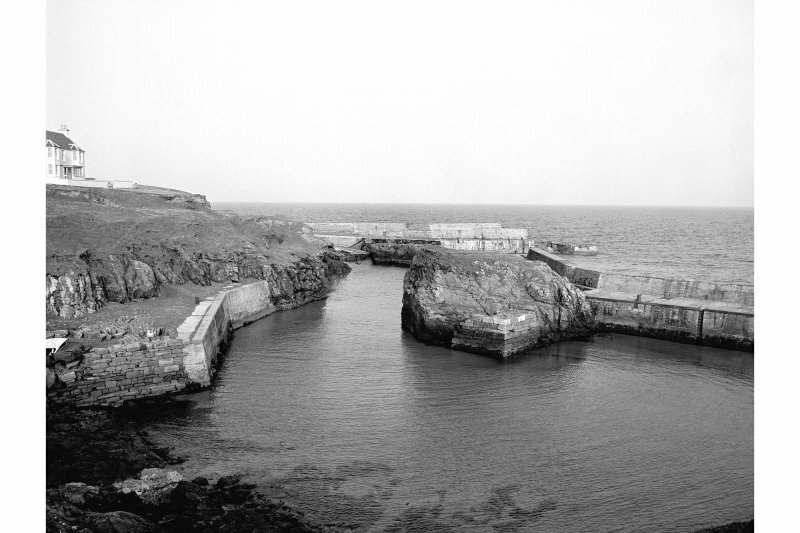 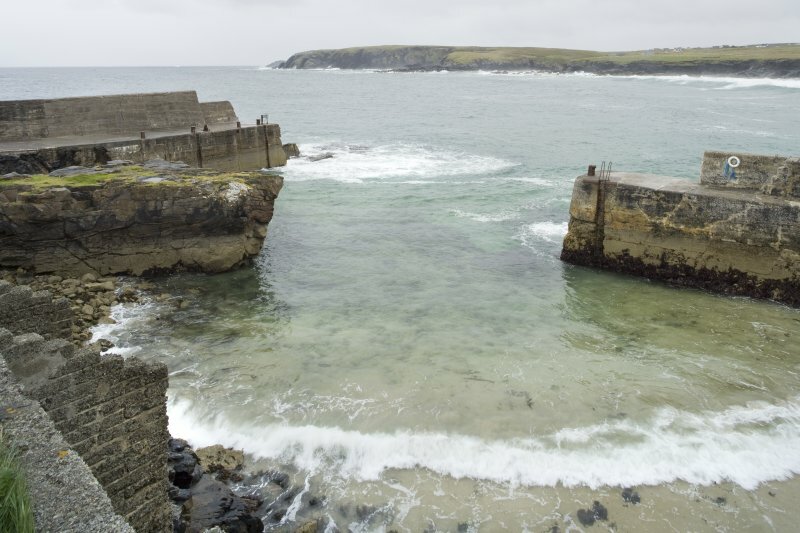 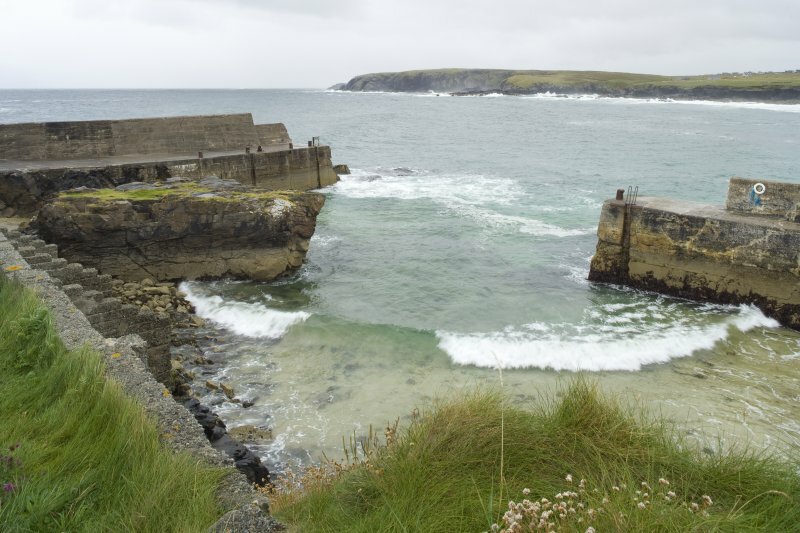 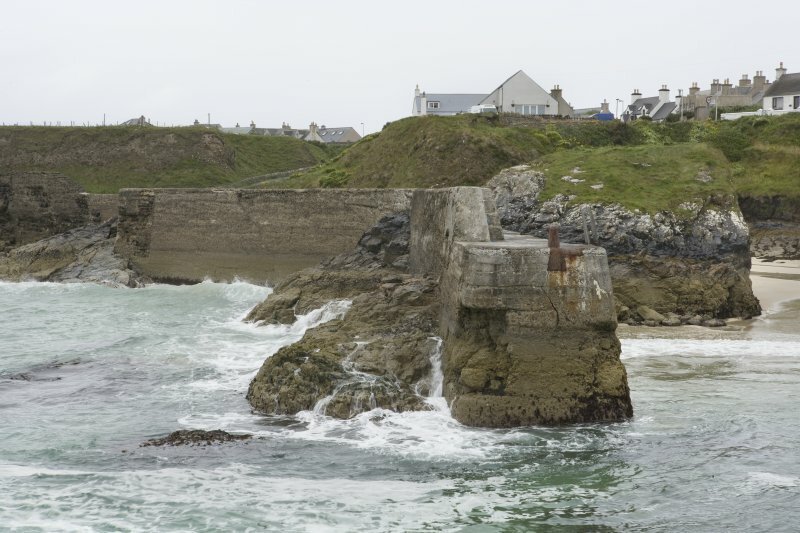 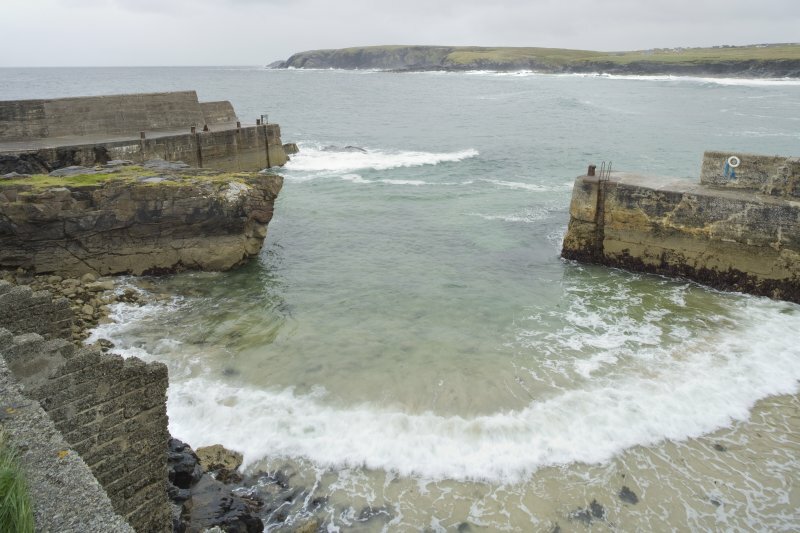 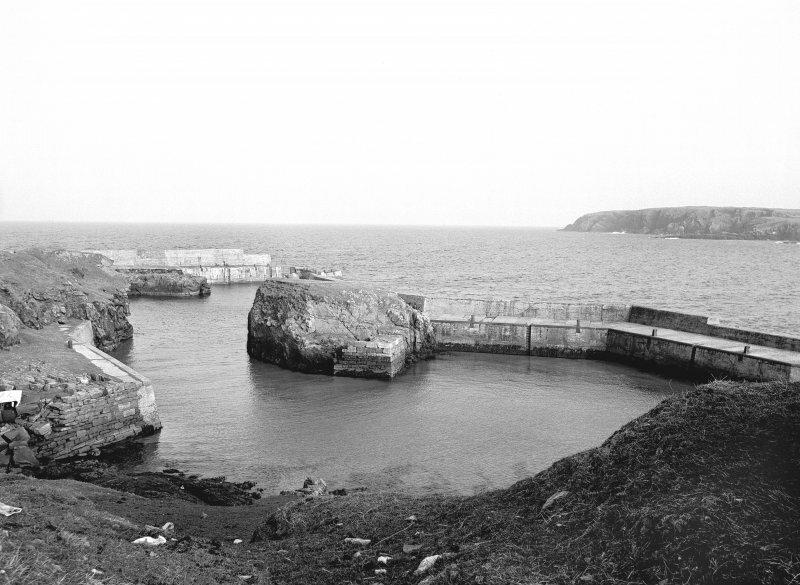 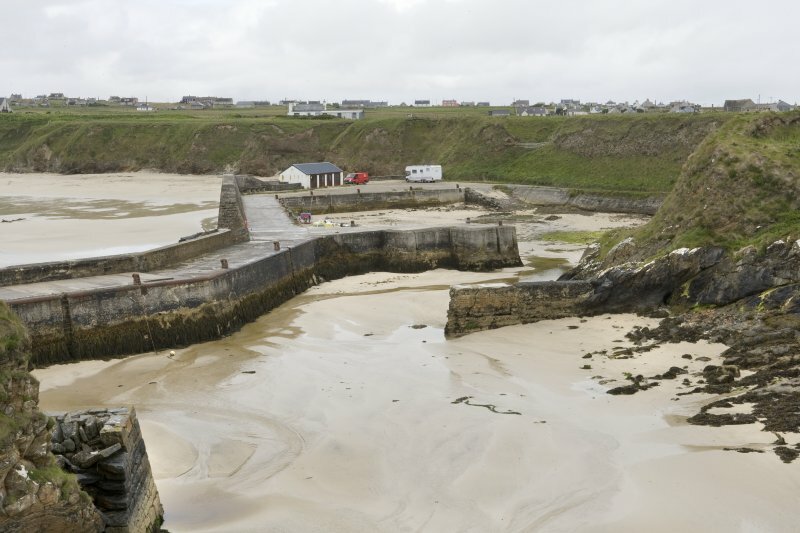 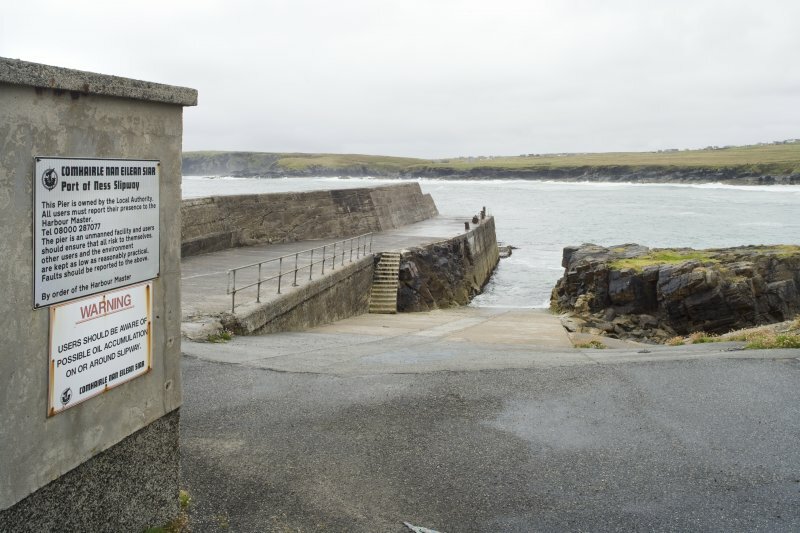 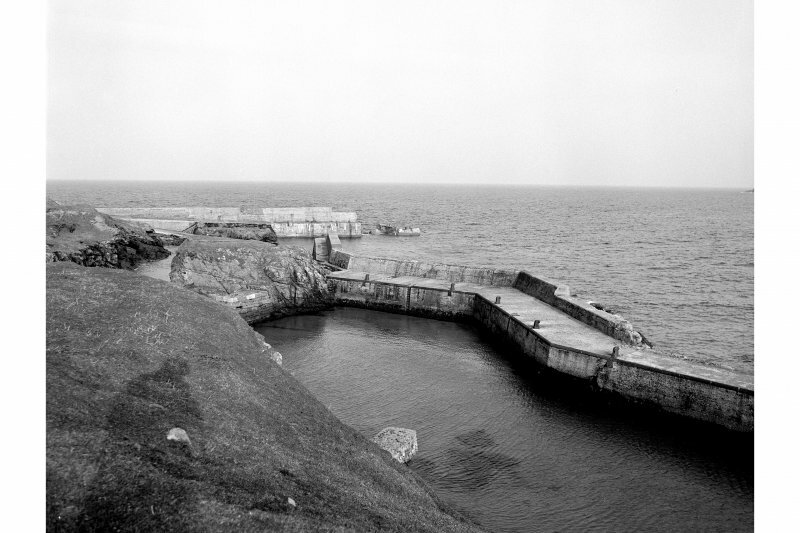 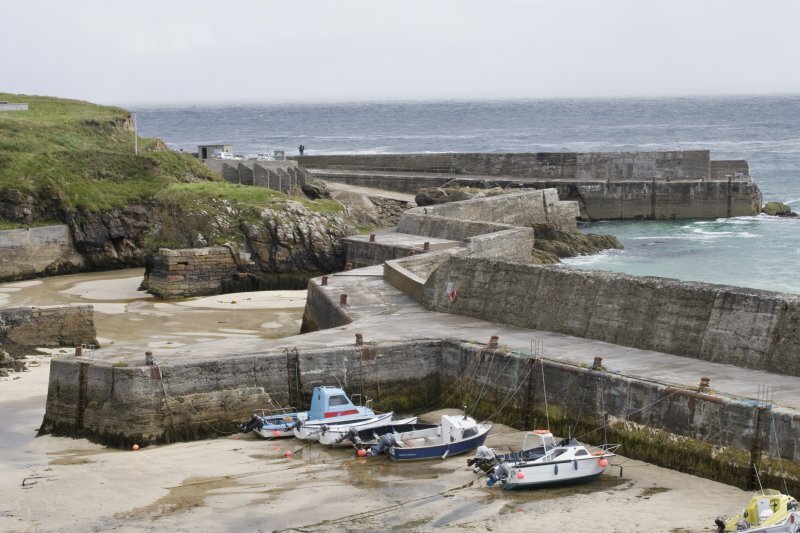 Port of Ness Harbour, c.1800; rebuilt c.1885 Reminiscent of fishing stations on the mainland's north-east coast and now regrettably under-used, this small, cellular dock was the lifeblood of Ness, whose people's skill at boat handling is legendary. 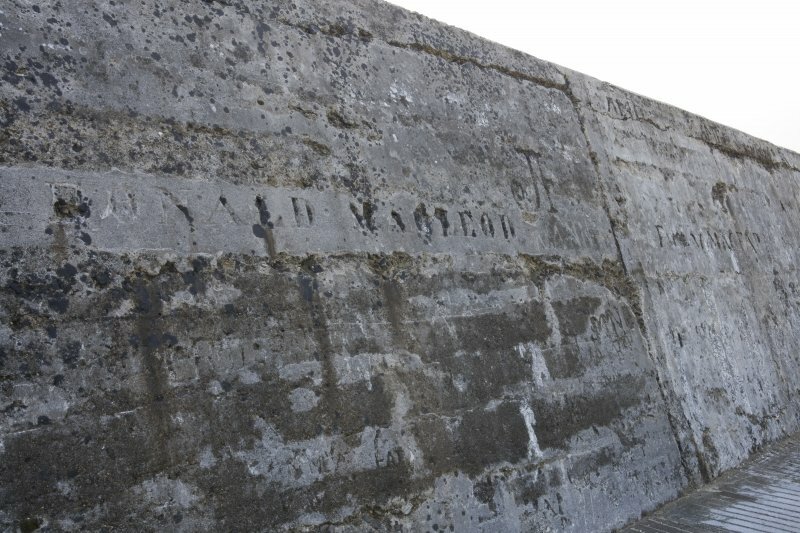 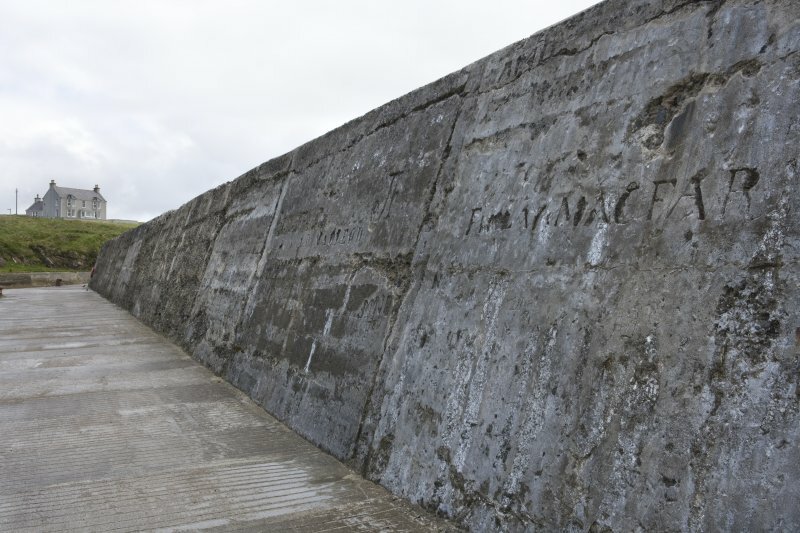 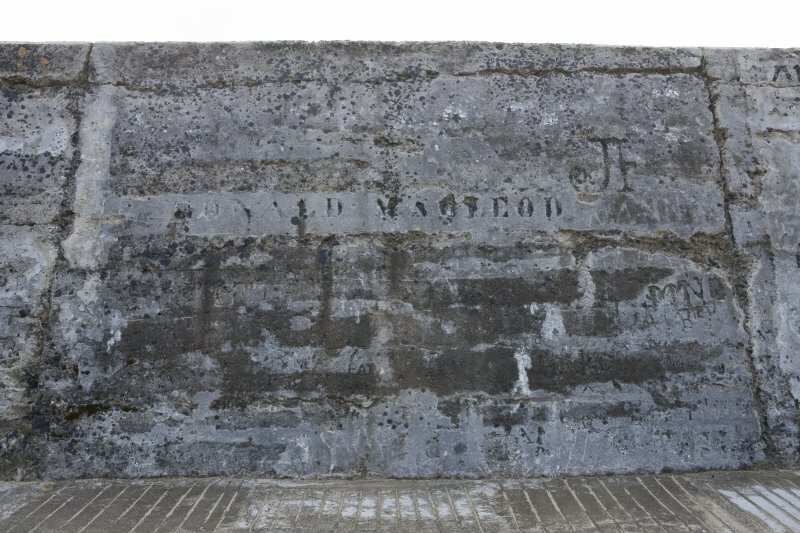 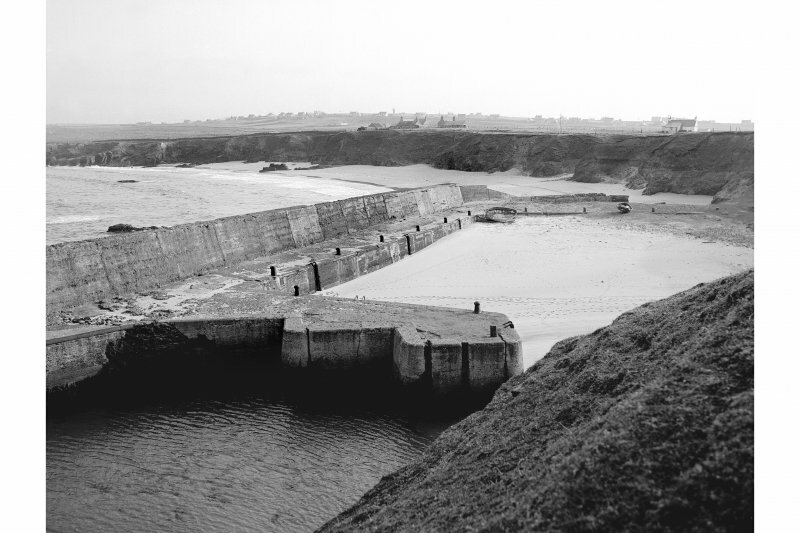 Its concrete remodelling by D. & T. Stevenson in the early 1890s included the (now partially collapsed) breakwater. 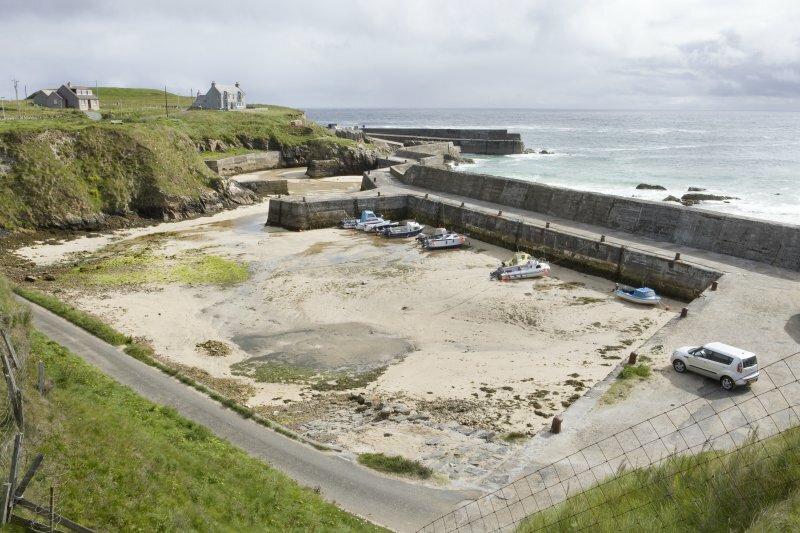 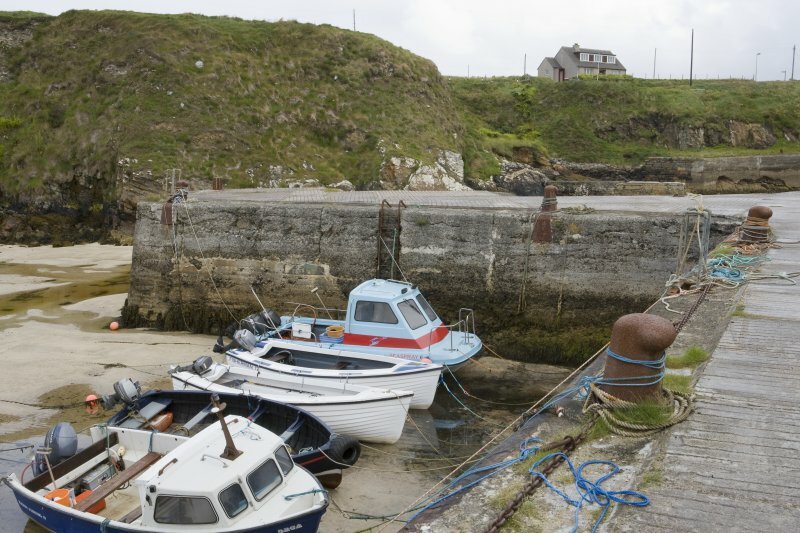 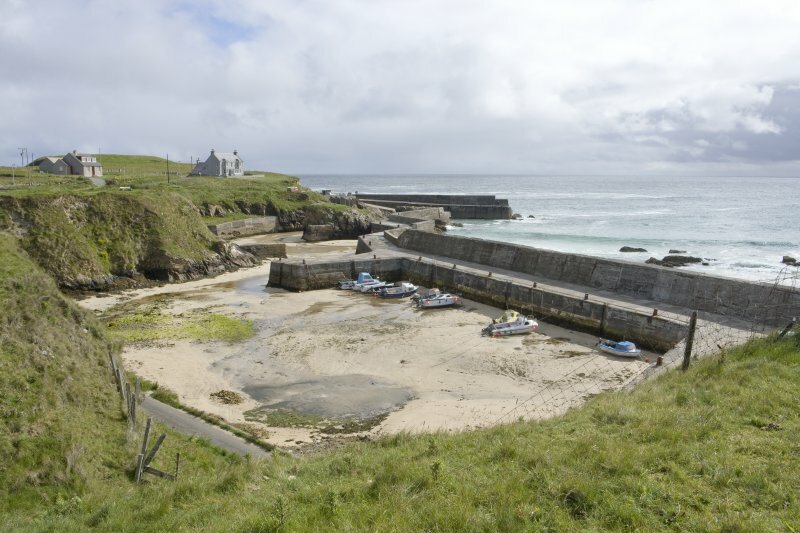 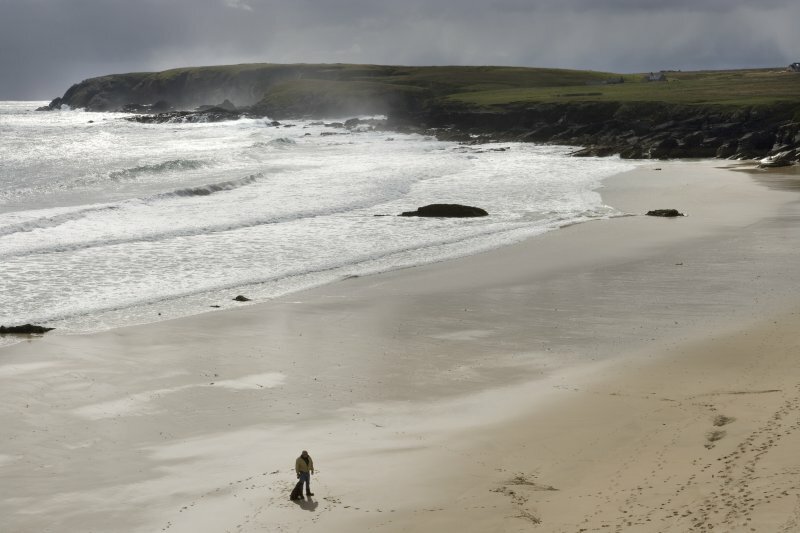 The Object Name Book (OS) describes the harbour as 'One of the principal fishing stations in the island of Lewis. 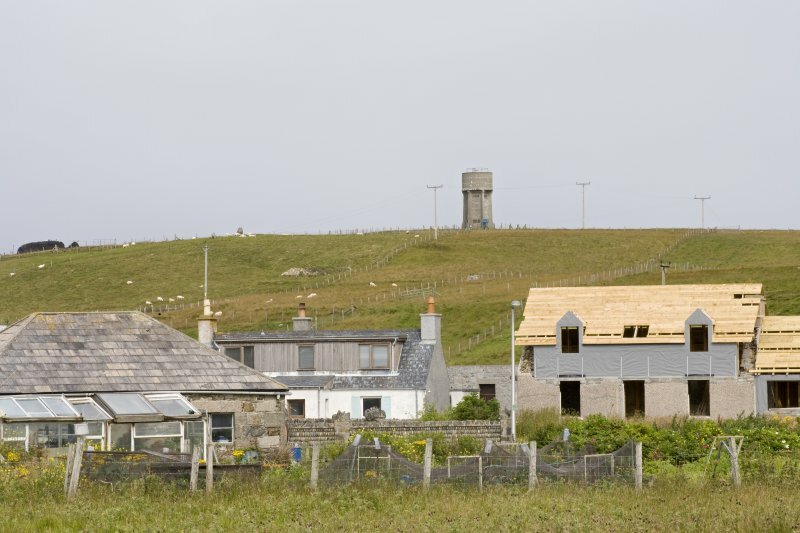 There are two houses, one storey high built of stone, slated and in good repair. 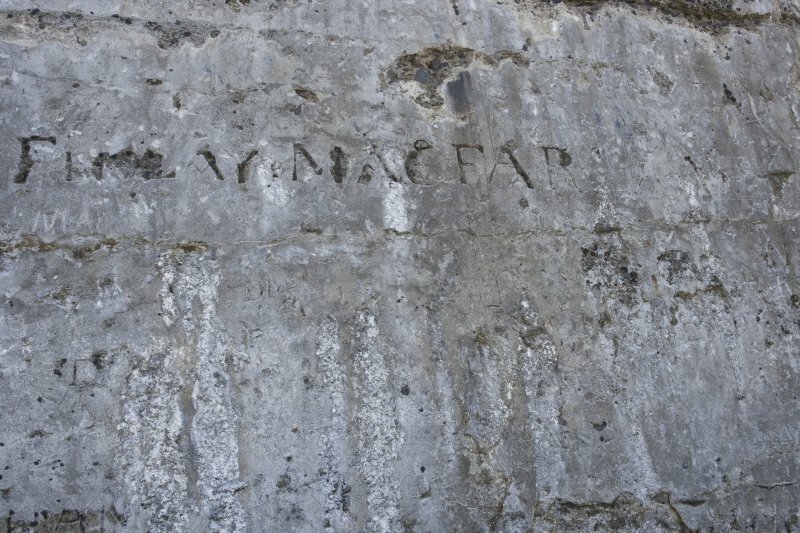 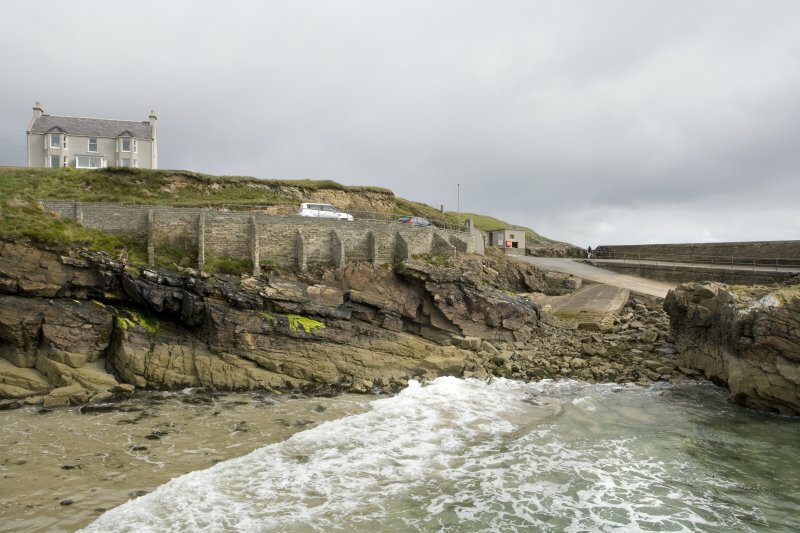 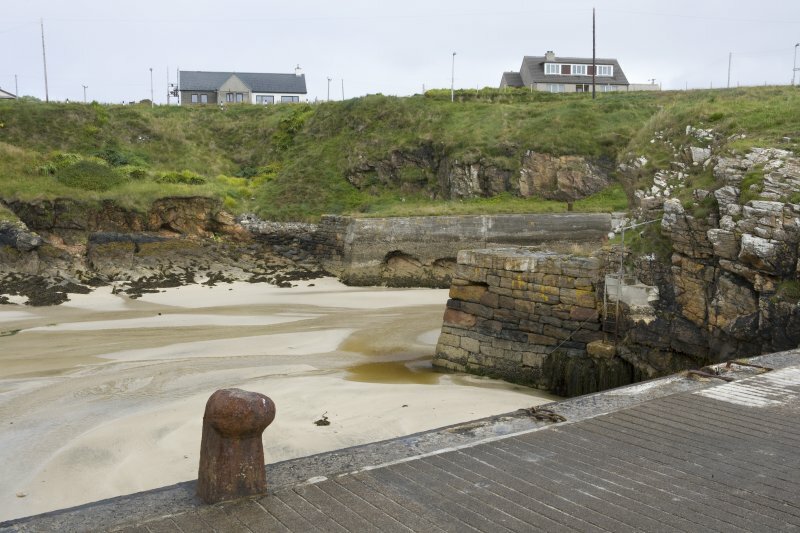 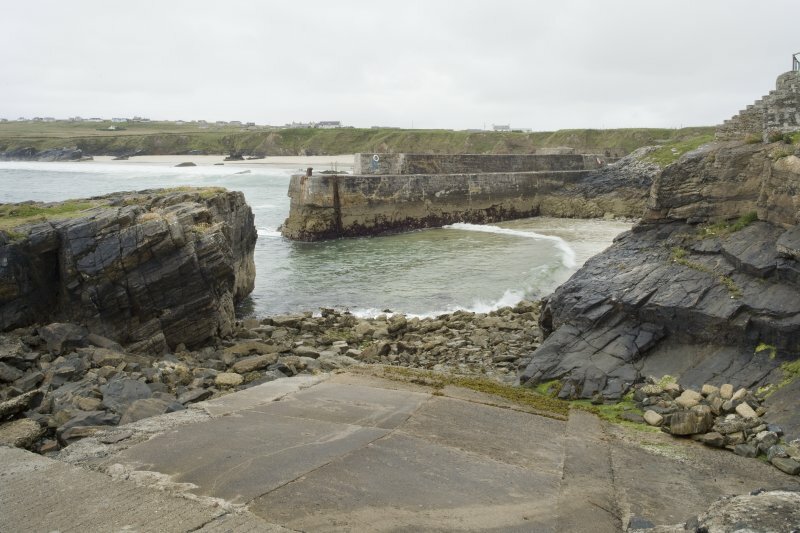 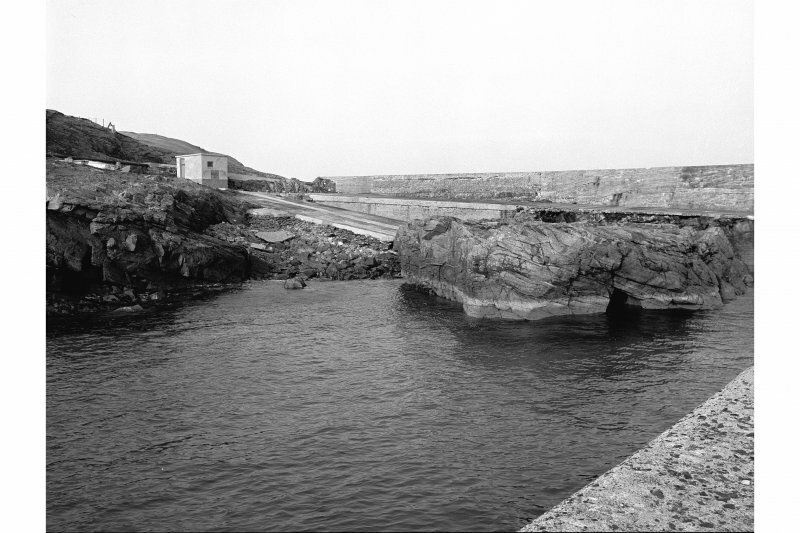 There is also a stone pier built for the use of fishermen. 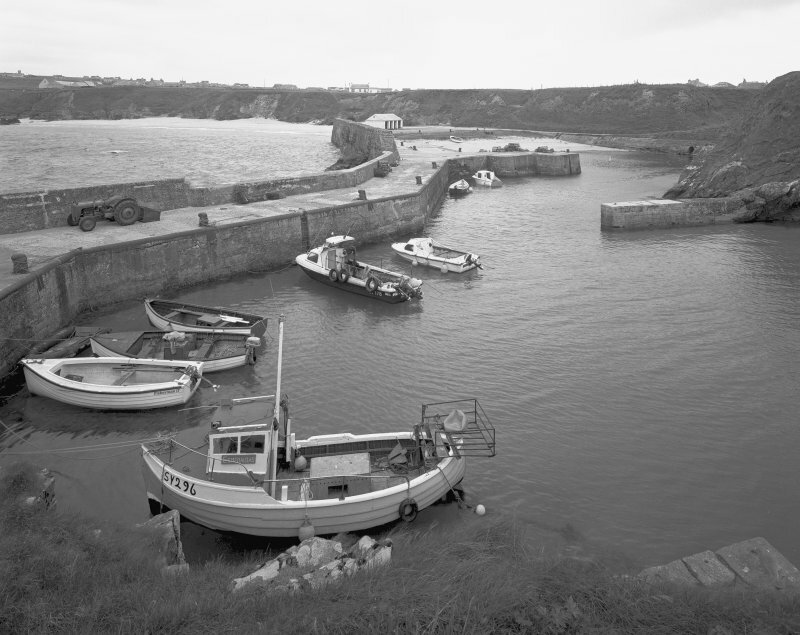 The fish caught here are Ling, Cod, Haddock and Herring. 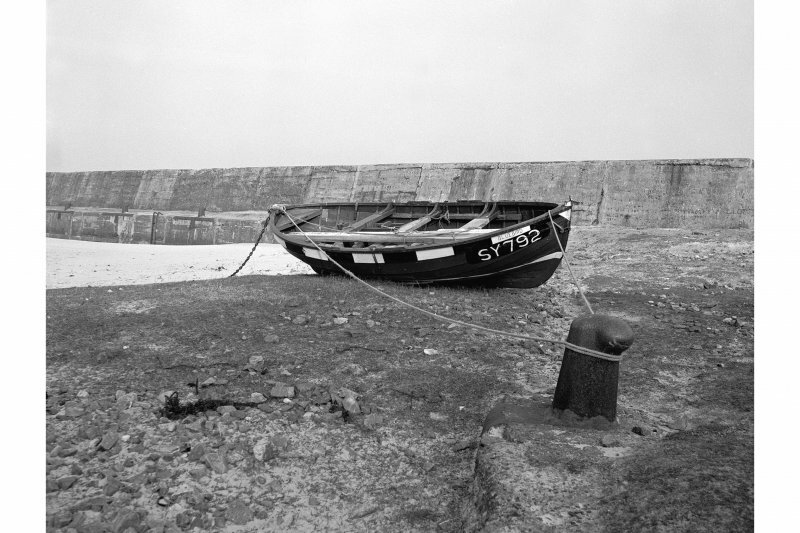 There is only one landing place, and that is a narrow sandy channel, with shelving rocks on each side. 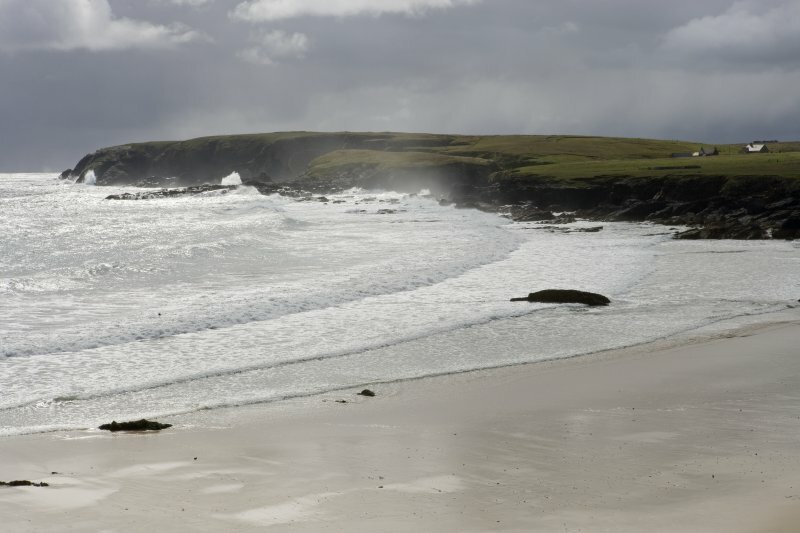 The prevailing winds are south, south-west and west. 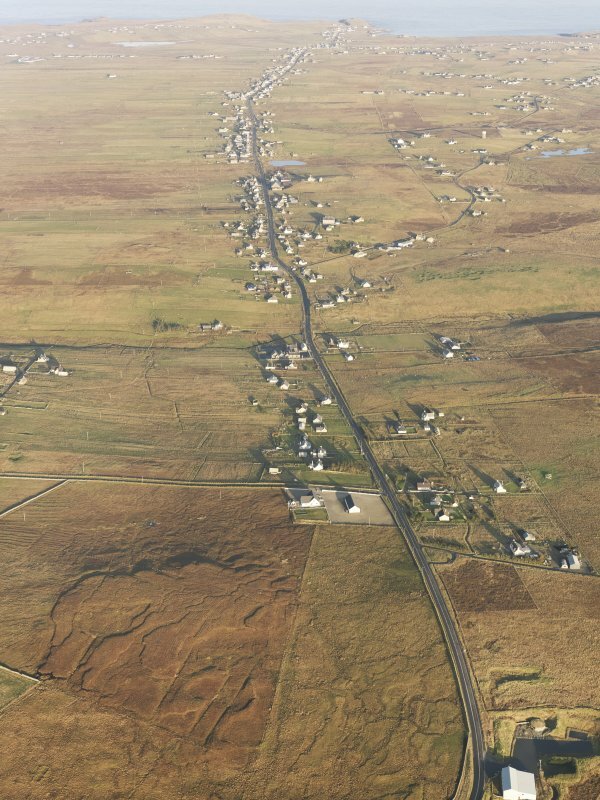 (Location cited as NB 538 638). 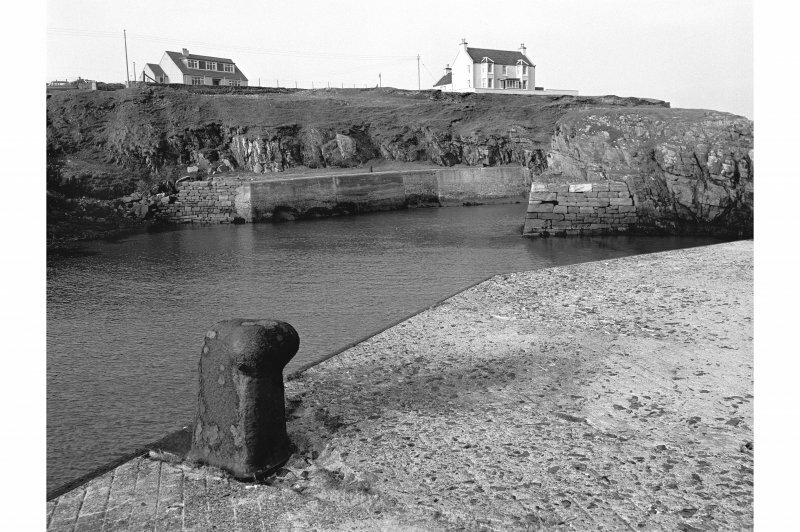 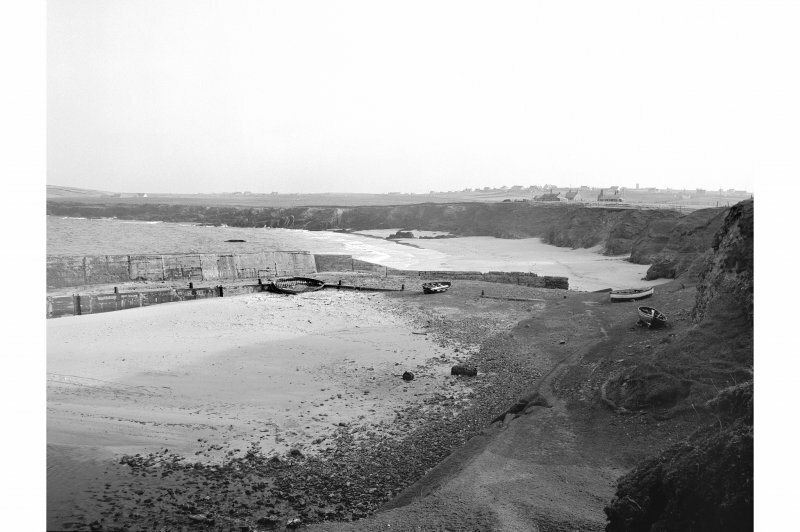 Port of Ness Harbour, enlarged 1893, breakwater added 1894. 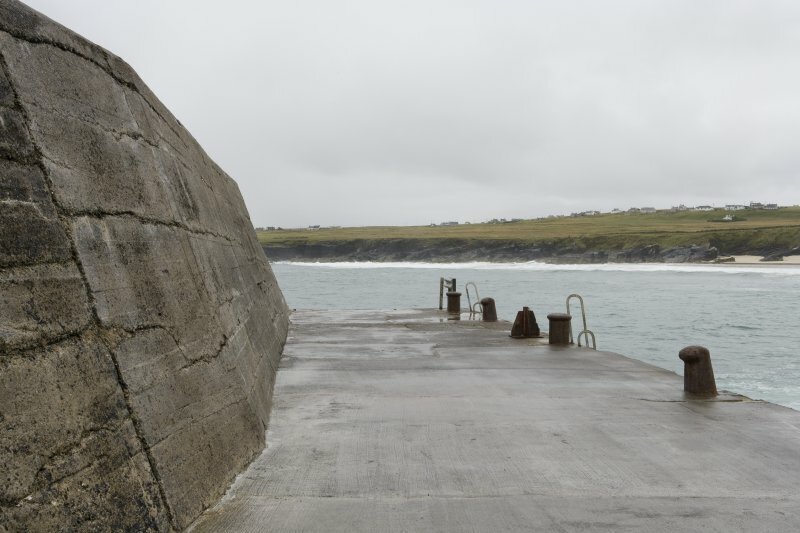 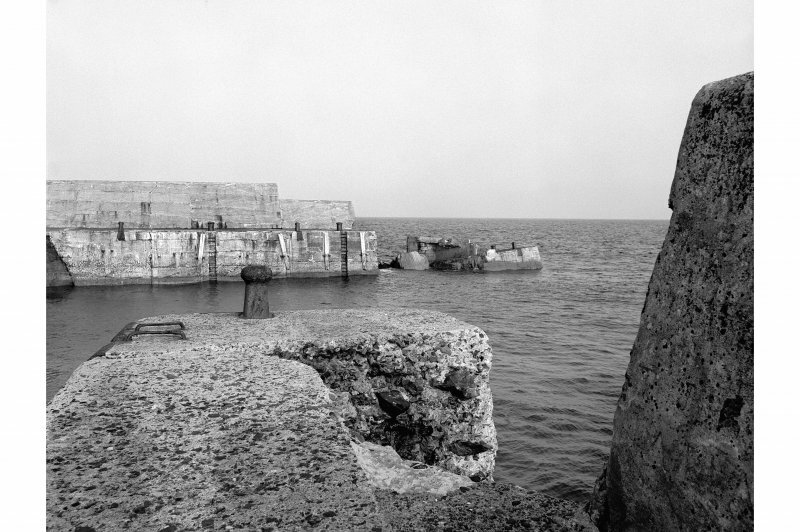 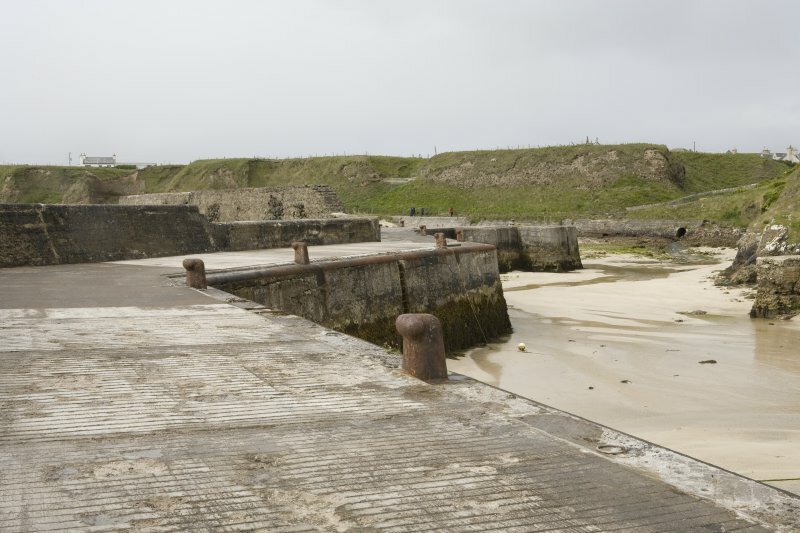 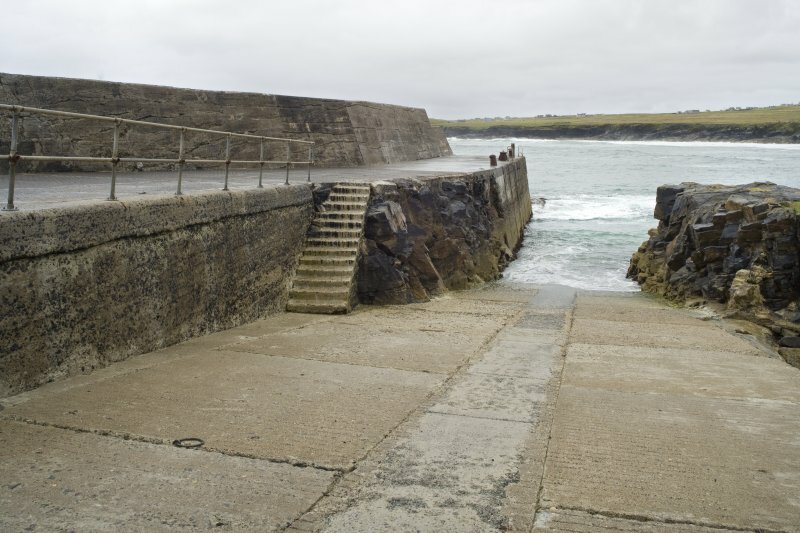 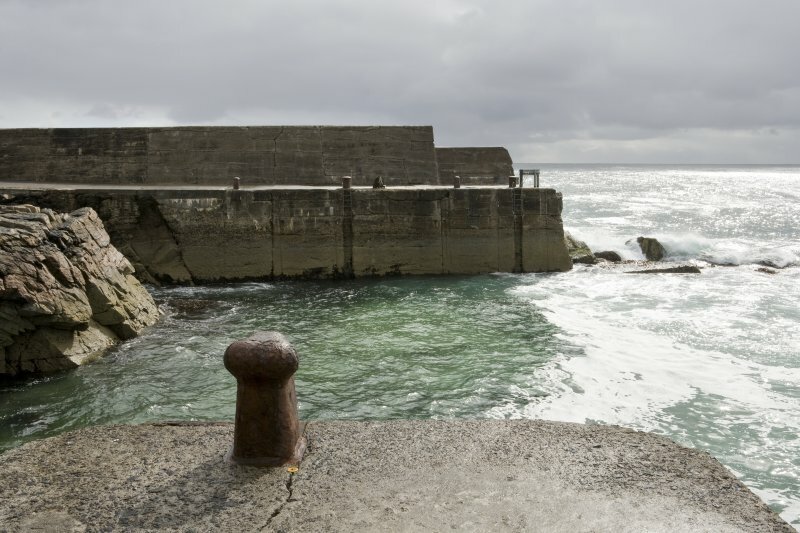 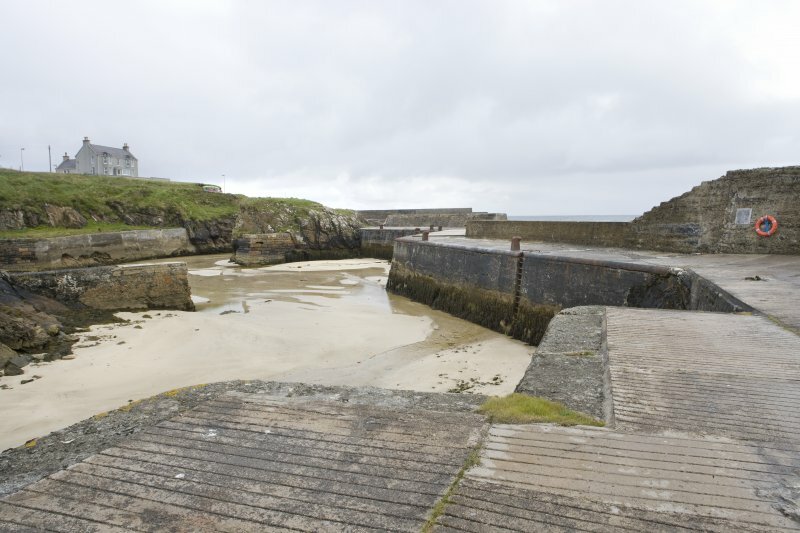 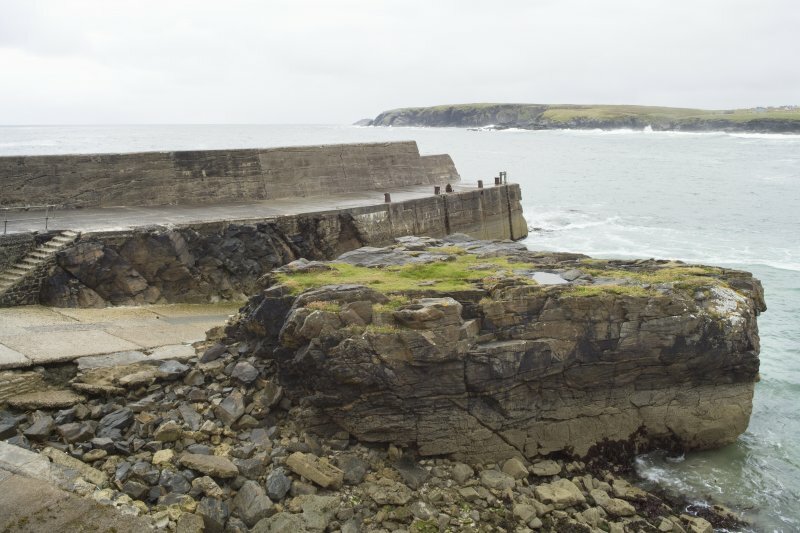 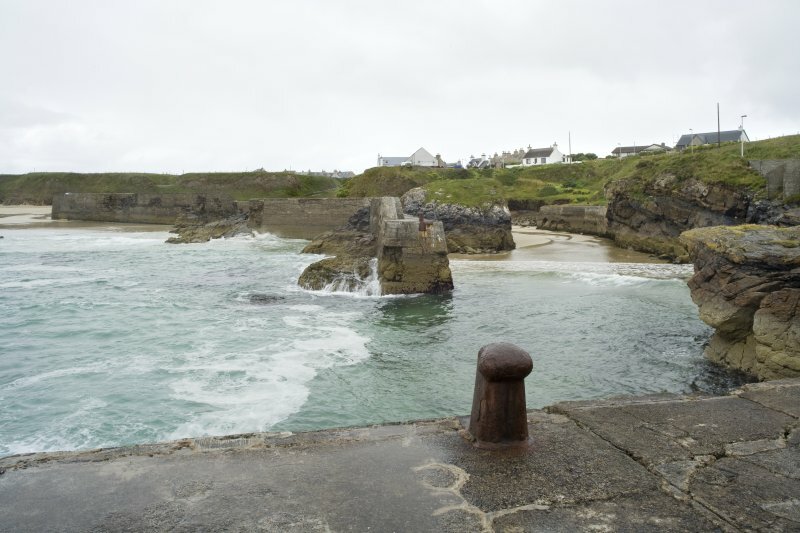 An irregularly-shaped basin formed by a concrete pier with sea-wall, subdivided by a short pier. 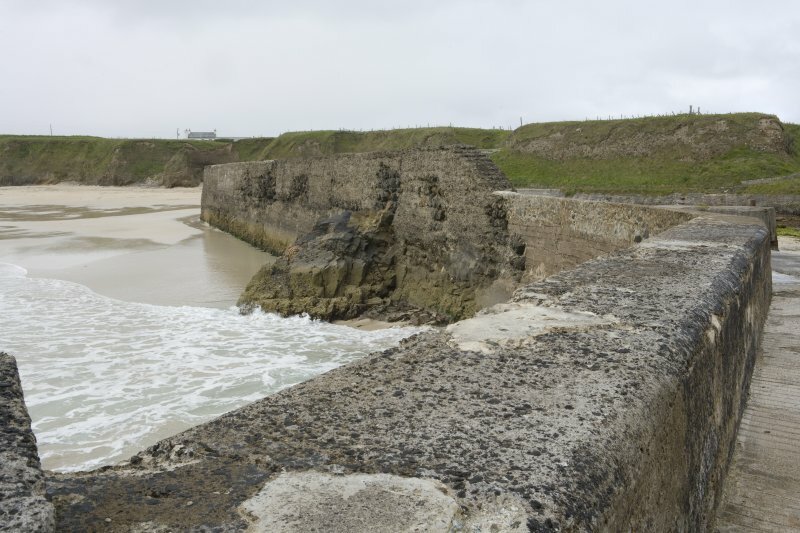 Part of the breakwater has collapsed. 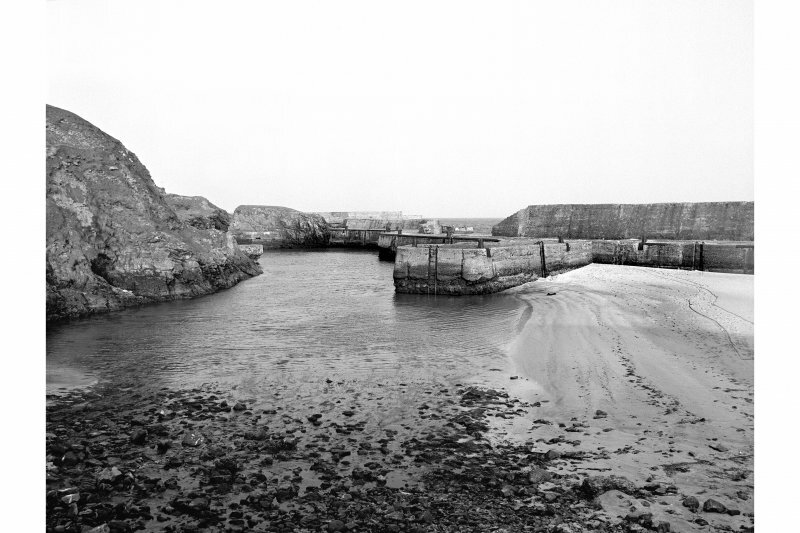 Virtually disused.